This No Bake Vegan Chocolate Pot de Creme is made from just 4 staple ingredients. It’s super creamy, rich, and can be prepared in 15 minutes. An everyday or entertaining must-have! If you think healthy desserts are boring, think twice. 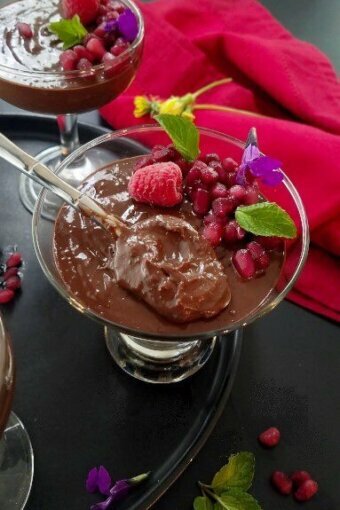 This vegan chocolate pot de creme is the bomb… I promise! It is rich, extra creamy, and can be prepared quickly with chocolate, canned coconut milk, avocado, and dates. Yep, that’s it! Unlike the classic pot de creme, it requires no baking,it is dairy-free ,and contains no processed sugar. If both my picky husband and eldest child thought it was one of those eats and repeats… oh, then I’m tellin ya, you’re gonna be hooked! The process is quite simple. In a blender, combine the coconut milk, avocado, and dates and blend until smooth. 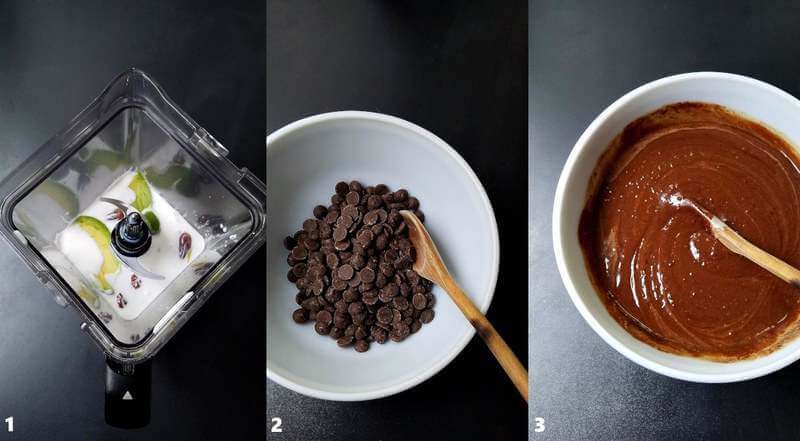 Then, melt the chocolate in the microwave and stir the blended mixture into the melted chocolate until obtaining a homogeneous mixture. If desired, stir in pure maple syrup for extra sweetness. Pour mixture into ramekins, cover, and refrigerate for at least 4 hours or until set. 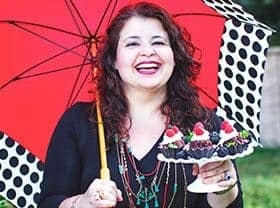 Right before serving, vegan chocolate pot de creme can be garnished with pomegranate seeds, berries, toasted nuts, cocoa nibs, or shaved chocolate. See? Easy, peasy! The avocado and coconut milk add creaminess to the dessert; the dates and maple syrup are for sweetness; the 90% cocoa chocolate is what gives the dessert that deep/rich chocolate flavor. I made it and took several cups to my doctor’s office. He and his staff went crazy for it — actually, so much that they asked me for the recipe. If you are still wavering, go ahead and try this recipe. You will have no regrets… well, except perhaps for not having doubled the recipe. Hehe! In addition, if you are into vegan food or would like to try something healthy and delish, also try our vegan raw salad. 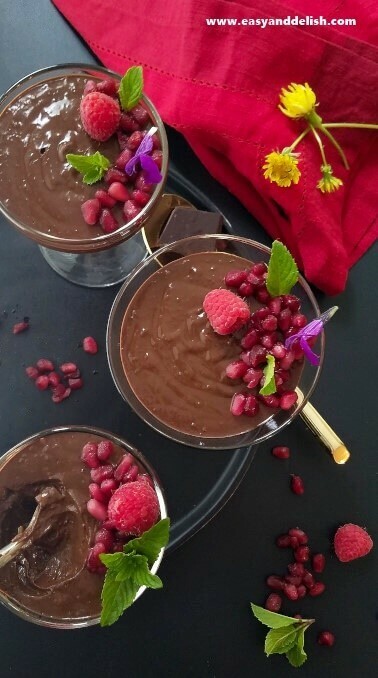 This No Bake Vegan Chocolate Pot de Creme is made from just 4 staple ingredients. It's super creamy, rich, and quick to prepare. An everyday or entertaining must-have! In a blender, combine the coconut milk, dates, and avocado. Blend on high until smooth and reserve. In a microwave-safe bowl, melt the chopped chocolate in 30-second intervals, stirring in between intervals, until melted and smooth. Stir well! Add the blended mixture to the melted chocolate and stir until obtaining a homogeneous mixture. Taste and stir in maple syrup, only if desired, for extra sweetness. Pour mixture into 4-oz cups or jars and refrigerate covered for at least 4 hours. Serve topped with berries, toasted almonds, cocoa nibs, or shaved chocolate. Enjoy! Storage: Store covered in the refrigerator for up to 2-3 days. NOTE: The avocado and coconut milk add creaminess to the dessert; the dates and maple syrup are for sweetness; the 90% cocoa chocolate is the one the gives the dessert that deep/rich chocolate flavor. TRY ALSO: our healthy and delish vegan raw salad! This is genius! It looks so decadent and so delicious…who would guess. I have to make this soon. This looks luscious! Not to mention delicious. 🙂 Good stuff — thanks. Avocado never looked better! My resident chocolate lover would adore this recipe. Oh. 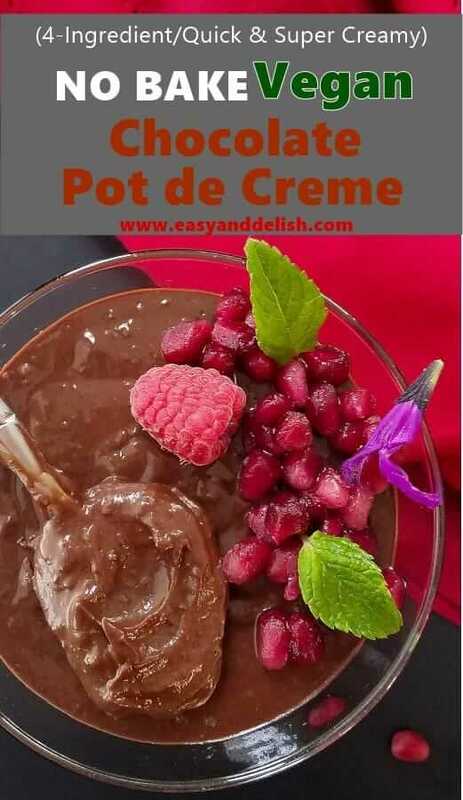 This delicious chocolate creme is so easy to make! I was wondering if we maintain in the fridge or not and how long could it take? Hi, Natalie! I recommend to refrigerate this dessert (covered) so the chocolate won’t absorb other foods taste. In addition, this pot de creme tastes much better if consumed within the first 3 days. Enjoy!